One may also substitute tweet, blog, and other verbs in lieu of “open your mouth” and be true to the statement. General George Patton said that a man should be able to swear consistently for three minutes without repeating a word. Patton satisfied his standard, I am sure. That standard, however, is not for me. Donald Trump is a megalomaniac, a menace to free society, a threat to the free press, and a peril to the Constitution of the United States, the free world, the global environment, the future of the human race, and much else. He is also an uncouth lout. I condemn him and all his menacing ways. I also condemn Trump’s uncouthness. He is probably the oldest profane toddler. My standards require me to be consistent in these matters. Pelagius said that one’s enemy triumphs when he makes one like himself. Based on news, which I barely sample these days, so to avoid turning into Patton verbally on the matter of Donald Trump, the Mussolini wannabe with bad hair who has made some of his political opponents like himself, at least verbally. This is wrong. Public service requires one to live up to the highest possible standard. Every vote should count. That is a timeless principle. This is the year of many close elections in the United States. The new Senator-Elect from Arizona owes her election to a razor-thin margin, as the counting of votes has continued. Three races in Florida are in recounts, for the margins of victory from election night are less than half of a percentage point, thereby triggering mandatory recounts. The race for Governor of Georgia is too close to call, with local elections officials finding previously uncounted votes. Meanwhile, Donald Trump, who puts the bully in “bully pulpit” and specializes in spreading rumors while labeling confirmed facts “fake news,” is making charges of corruption in recounts. If there is evidence for such corruption, local law enforcement knows nothing about it. Every vote should count. That is a timeless principle. I hold to it, even when I have no guarantee that my preferred candidate will win. This is a matter of principle, not convenience. This is a matter of standing up for what my country, the United States of America, says is a major principle. Suffrage is a right about as close to sacred as a civic activity can be. It is a right for which many brave men and women have died, and for which many men and women have yearned. One benefit of counting every vote is to validate the electoral process. There can be no doubt that Candidate X is the rightful winner if election workers have counted all the votes. What can be wrong with counting all the votes, especially in close elections? I am convinced that the United States of America has been in the Seventh Party System since or shortly before January 20, 1993. As a teacher of U.S. history on the college level, I think about various matters of the past, especially when students’ questions prompt me to do so. First a brief review of the first six party systems is in order. The First Party System was the Federalist-Jeffersonian Republican divide, with parties forming during George Washington’s administration. 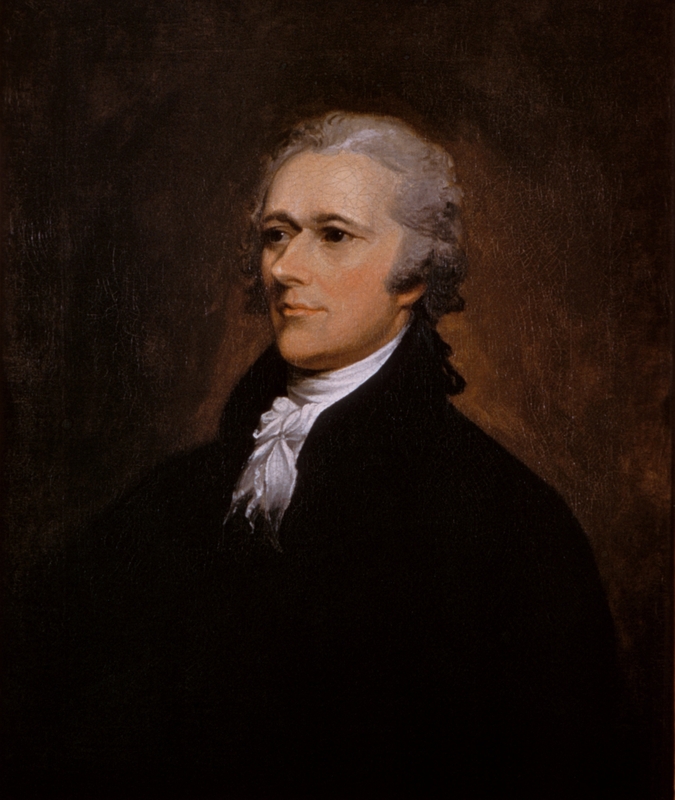 The national Federalist Party did not field a presidential candidate after 1816, but not all Federalists became Jeffersonians, some of whom had begun to sound like Federalists by that point. The Second Party System grew up around Andrew Jackson in the 1820s. His supporters were Democrats, and his opponents merged into the Whig Party in the 1830s. Before that, however, they were National Republicans and Anti-Masons, the latter of which gave us the presidential nominating convention in 1831. The Third Party System emerged in the middle 1850s, in the aftermath of the Kansas-Nebraska Act (1854). The Whigs came apart, as did the Democrats to a lesser extent, and the Republican Party emerged with a platform which included opposition to the expansion of slavery but not support for immediate abolition of that damnable peculiar institution. The Fourth Party System began after the 1896 general election, in which Republican William McKinley won a landslide victory. The Republicans controlled the presidency for all but eight years (the Woodrow Wilson Administration, 1913-1921) through the end of the Herbert Hoover Administration (1929-1933). Franklin Delano Roosevelt inaugurated the Fifth Party System, during which the Democratic Party controlled the presidency for all but eight years (the Dwight Eisenhower Administration, 1953-1961). This system ran its course until the 1968 general election and the election of Richard Nixon, who employed the notorious “Southern Strategy.” Lyndon Baines Johnson was correct; he gave the South to the Republicans when he signed the Voting Rights Act of 1965. The Sixth Party System began with Nixon and ended with George H. W. Bush. Republicans controlled the presidency for all but four years. Jimmy Carter, the sole Democratic president (1977-1981) during this system, was hardly an FDR-LBJ social programs type. None of the presidential elections (1992, 1996, 2000, 2004, 2008, 2012, and 2016) has been a landslide, certainly not in the popular vote. Regardless of the identity of the President, about half of the population seems to hate his guts. A vocal proportion of that livid portion of the population entertains unfounded conspiracy theories. For the record, Vince Foster did commit suicide. Nobody murdered him, so there was no murder for the Clinton Administration to cover up. Also, the George W. Bush Administration was not complicit in the terrorist attacks of September 11, 2011; a hospital in Honolulu, Hawaii, was the birthplace of Barack Obama in 1961; and Osama bin Ladin is dead. One can, however, find websites arguing against all these propositions. This means nothing conclusive; once I found the website of the Flat Earth Society. Vitriol, unvarnished hatred, and unapologetic indifference to objective reality has become increasingly politically acceptable. The abuses of power (and threats of them) commonplace in third world countries have entered mainstream political discourse in this country. Also, for the record, Barack Obama is neither a Socialist nor a Communist. There are Socialist and Communist Parties in the United States, and they do not mistake him for one of their sympathizers. It is long past time to lower the political temperature and retire over-the-top charges which distract from the serious issues of the day. We have a nation, one which has lasted for more than 200 years. Childish antics do not honor the highest ideals upon which our founders created the United States. How should we, as citizens, respond when the lunatics take over the asylum? How should we respond when the temporary occupant of the Oval Office spews a combination of venom, rumors, and falsehoods casually, thereby degrading his office and the country, yet labels documented journalistic stories “fake news”? How should we respond when many of our fellow Americans, members of a cult of personality, affirm whatever Il Duce with bad hair utters and tweets? How should we respond to the American Il Duce‘s fondness for authoritarian leaders? Donald Trump is a domestic threat to the United States. Trumpism is a domestic threat to the United States. We should recognize these truths and utilize the constitutional methods available to us to resist both. I derive some comfort from the realities of demographic changes, which will usher in the Eighth Party System, as soon as more people of certain demographic categories vote in sufficient force consistently. Bishop William Scartlett comes to this, A Great Cloud of Witnesses: An Ecumenical Calendar of Saints’ Days and Holy Days, via The Interpreter’s Bible. the conscience of the community. Scarlett was on the avant-garde of The Episcopal Church with regard to social ethics. He advocated for the liberalization of the denomination’s stance on remarriage after divorce. In 1946 our saint edited Christianity Takes a Stand, in which various authors took a stand against societal sins such as racial segregation and the federal government’s recent internment of West Coast Japanese Americans. Although the House of Deputies, at the General Convention of 1946, consented without debate to sponsor the publication of the book, the majority of Episcopalians were not ready to espouse those positions yet. Scarlett, a Low Church Episcopalian and self-described Liberal Evangelical who wore a tie in lieu of a clerical collar, was a natural ecumenist. He cooperated with members of other Christian denominations as easily as he did with Jews. At Christ Church Cathedral, St. Louis, our saint scandalized many Anglo-Catholics by encouraging interdenominational Eucharists. He also scrapped plans for a new Episcopal hospital in the city when he learned of a similar Presbyterian plan. The result was cooperation, not competition, in the form of St. Luke’s Episcopal-Presbyterian Hospital. He also favored the merger of The Episcopal Church and the Presbyterian Church in the U.S.A. in the 1940s. The proposal did not survive the late 1940s. It would probably have been impractical anyway. Scarlett retired in late 1952. His successor as Bishop of Missouri was Arthur Carl Lichtenberger (1900-1968), later the Presiding Bishop of the denomination. If God has a controversy with his people, it is because there has been in our world too little concern for our brother, too little recognition that his fate is bound up in ours, and ours in his, even to the least, too much forgetting that word of old, “We are members of one another” (Eph. 4:25) and if one member suffers, “all the members suffer with it” (I Cor. 12:26). A plain fact of the nineteen-thirties is that Hitler climbed to power on the backs of the unemployed in Germany, and it was this frustration, this sense of uselessness, in millions of lives that made his way easy. That is a chilling text in 2018. The resurgence of fascism and of authoritarianism in general has been current reality in the world, from the Philippines to Europe to Brazil to Turkey to Europe for a few years now. Many of the enablers of fascist and other authoritarian leaders have been professing Christians. The call to “Make America Great Again” has echoed pre-World War II movements to make Italy and Germany great again. The rhetoric of “America First,” originated before World War II in an openly anti-Semitic, pro-Nazi movement to keep the United States out of that war, has returned, still with racist overtones. Calls for U.S. society and government to practice the Golden Rule have become subversive as many professing Christians have chosen to ignore the demands of that great commandment and embraced xenophobia and nativism, largely out of fear. I encourage you, O reader, to read Scarlett’s exposition on the Book of Jonah and to oppose–resist–the deplorable resurgence of fascism and of authoritarianism in general. Scarlett, aged 89 years, died in Castine, Maine, on March 28, 1973. His wife, Leah Oliver Van Riper (b. 1889), had predeceased him in 1965. Help us grace to contend fearlessly against evil and to make no peace with oppression. John McCain, who died today, was a patriot and a statesman. As much as I disagreed with him on most policy points, I recognized the integrity of the man. He was, regardless of what shameless idiot and loudmouth Donald Trump said, a war hero; being a prisoner of war did not make him something other than a hero. Trump’s claim from the campaign for the presidential nomination insulted all prisoners of war. Rest in peace, Senator McCain. You have laid down your burdens and ended this stage of your pilgrimage. You have done more for this country than most of us ever will. In paradisum deducant te angeli…. I’ve been called worse things by better people. There are many domestic officials in the United States, as well as world leaders who could repeat that line these days, and should do so. Being the recipient of insults by Donald Trump is actually a high honor that says more about the insulter and the insultee. Or, How Can It Be Otherwise? Allowing for Giuliani’s subsequent “clarification,” in which he stated that he was referring to “he said, she said” disagreements, his original statement is still malarkey. So is his alleged clarification, which refers to mutually-exclusive truths. Call me old-fashioned, if you please, O reader, but I affirm that truth is always truth. Furthermore, it does not depend on subjective perception. To the extent one’s perception differs from objective reality, one’s perception is in error. Therefore, I do not have my truth, you do not have your truth, and another person does not have his or her truth; the truth is simply the truth, and there is just one truth. There is no Mandela Effect; each of us has faulty memories. Human memory is not like an infallible recording of one’s experiences; no, it is malleable. Fake news is that which is objectively false, not news one does not like. Donald Trump is a veritable fountain of inaccurate information daily, but he labels much confirmed journalistic work “fake news.” The Trump-Giuliani definition of truth reminds me of Mormon epistomology: objective reality be damned, I know what I believe. The Biblical standard of truth is reliability. A liar deceives on purpose. One who spreads unreliable information yet does not know it is unreliable is still working against the dissemination of the truth, but is not a liar. Each of us should strive for reliability in information. Each of us will fall short of that to some degree, but should do as best as he or she can. I, as a historian, have received training in evaluating sources. Sometimes the best we can say is that a statement is or is not plausible. None of we mere mortals should ever disregard or dismiss objective reality. No, we should strive to perceive more of it than we do already. We should also hold all public officials to that high standard.